Let’s face it, anyone needing abscessed tooth treatment is likely to be in quite a lot of pain. In fact, while many people experience an intense throbbing pain at the source, did you know that it can also spread to the jaw, ears, or neck? In severe cases, if left untreated, patients can have difficulty in opening their mouth and or swallowing/breathing. For these reasons, it’s advised that you contact us for emergency dental treatment in Manchester. First and foremost, these type of symptoms mustn’t be ignored and should be considered a dental emergency. Manchester patients can rest assured that whatever time of the day or night, we’ll do whatever we can to get you out of pain fast. 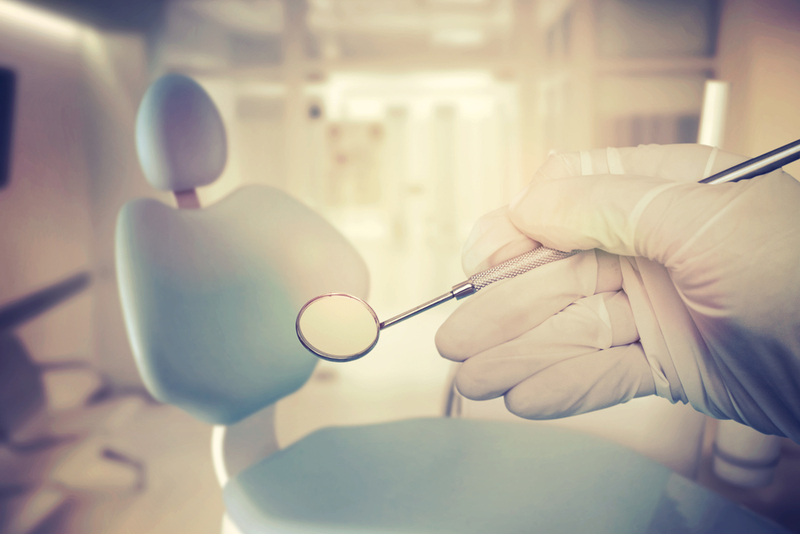 Once in the dental chair, we’ll conduct a thorough examination of the infected area. Then once we’re sure of the cause of your tooth problem, abscessed tooth treatment can begin. The first step is to alleviate the pain; so we’ll look to drain any pus from any visible accessible areas and then we’ll prescribe a course of antibiotics to take down any swelling and also to stop the infection from spreading further. Any pain should immediately be minimised and after taking anti-biotics, is usually eradicated totally after two – three days. The next stage is usually carried out during a second or third appointment after undergoing emergency dental treatment in Manchester. However, the nature of the abscess very much dictates the type of treatment you’ll receive. For example, when dealing with an abscess on the gum (periodontal abscess) it’s important, once the abscess has been eradicated, to close the pocket where the abscess has developed. 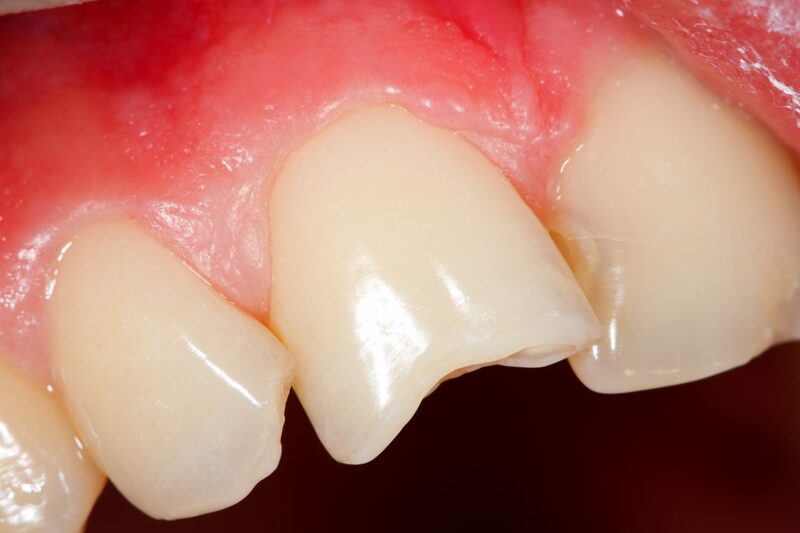 This is done using a technique called root planing and makes the gum tissue fold back tightly onto the underlying part of the tooth to avoid further infection getting in. This may be carried out by either the dentist or our hygienist. Alternatively, If the abscess is periapical in nature (Eg – the infection has started in, or has spread to the tooth) then one of the most common procedures is a root canal. During this procedure, any infected pulp tissue is cleaned out and backfilled with a synthetic material before being sealed once more. In most cases, the tooth will then be fitted with a dental crown in order to protect it and maximise tooth life. Remember, trying to ignore a problem tooth will only make it worse. Instead, call Church Road Dental and Cosmetics for abscessed tooth treatment. We’re experts in gentle dentistry and our dental emergency Manchester team have the knowledge and skills to get you out of pain fast. So if you’re experiencing any kind of tooth pain, don’t delay, call us on 0161 485 7376 right now! It can be very upsetting if a tooth is knocked out. Sometimes, however, teeth aren’t always knocked right out and instead, they’re what an emergency dentist in Manchester would call partially dislodged teeth. You may be surprised to know that this is a very common dental emergency in Manchester and provided the right care and attention is received, the tooth can normally be replanted and repaired. Why do teeth get dislodged? Teeth are quite exposed – there’s no layer of fat or muscle to protect them from impacts – so if anyone plays a contact sport, for example, then at some point their teeth are likely to be struck. It’s not just on the sports field either. Dislodged teeth are quite common in boisterous young children playing in the house. For this reason, it’s important that parents know what they should do if the worse happens. The good news is that our teeth are protected to some extent by the root which holds them in place deep inside the gums; so provided teeth and gums are healthy it’s usually quite difficult to dislodge a tooth. That said, accidents can and do happen. This is what our emergency dentist in Manchester had to say. “There are two types of dislodged teeth. Although both cases are totally different, treatment is the same. – Step 1 – This is a dental emergency in Manchester so contact your dentist right away. To stand the best chance of the tooth being successfully replanted, dentists recommend treatment within an hour. – Step 2 – Relieving the pain. Normally Ibuprofen or similar over the counter painkillers will ease any pain and an ice pack will keep down any swelling to the cheeks or jaw. Do not waggle your tooth around further or be tempted to just pull it out and worry about it later. At this stage, there’s a good chance that it can be saved so focus your attention instead on getting to your emergency dentist in Manchester as quickly as you can. Provided the nerves are still connected and the tooth is receiving its blood supply the dentist will clean up the tooth and replace it in its socket. A splint will be used to hold it in place while the gums heal around it and the tooth stabilises. In cases of dislodged teeth where the nerves are damaged and blood isn’t reaching the tooth, root canal treatment may be required. Although technically the tooth is dead, it can still be replanted and having a root canal stops the tooth discolouring. If you or a family member suffers a dislodged tooth then don’t delay. Call Emergency Dentist in Manchester on 0161 485 7376 right away. Kids love to play outside and ride their bikes so it’s inevitable that at some point in their lives, they may experience dental trauma. In fact, sources show that around 50% of children will at some time in their childhood suffer a tooth injury. A child who has fallen off their bike, for example, may have damaged one or more teeth and be in need of cracked teeth repair or even worse, they may have suffered a knocked out tooth. As anyone with children knows, accidents can and do happen and they can happen at any time of the day or night which is why as an emergency dentist in Manchester we’re kept pretty busy. Injuries to children’s teeth are most likely to happen between the ages of 1 and 3 when toddlers are starting to take their first steps, and between te ages of 8 to 11 when children get more boisterous and less cautious particularly when they’re participating in contact sports. Mouth injuries can also happen when a child trips or if they’re pushed from behind. It’s very distressing both for the child and their parents when dental injuries occur and many patients find themselves wondering whether they should seek immediate dental help. Injuries to your child’s mouth can include fractured teeth, teeth that have been knocked out, and teeth that have been pushed out of position pushed up or loosened. With any injuries, it’s always best to keep calm and focus on your child’s well-being. Wounds should be washed with cotton or gauze very carefully for around 5 minutes. Injuries to primary teeth can have long-term consequences on their eruption and development, so it’s always best to seek dental help as quickly as possible. If it’s during the day your dentist should be able to see your child right away. They’ll be able to check for signs of cracked teeth and other damage that you won’t be able to see yourself. If it’s out of hours then contact your emergency dentist in Manchester. If permanent teeth have been damaged, then it can have long-term consequences both on their eruption and development. 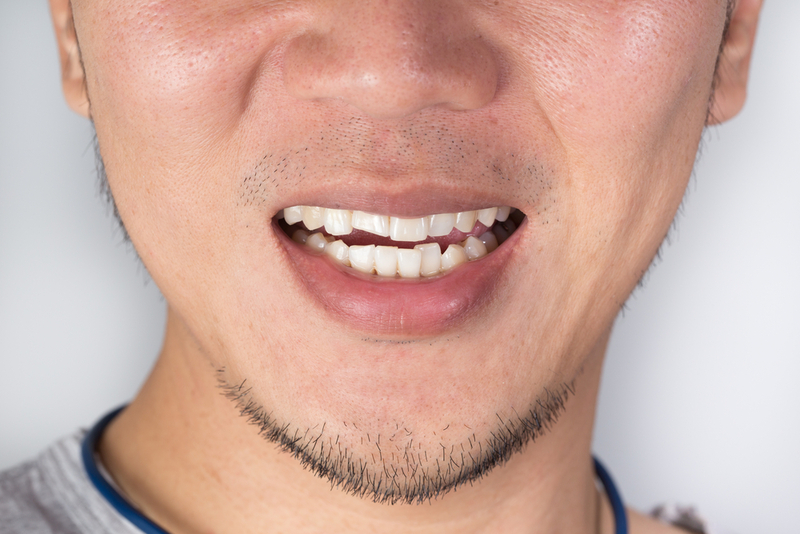 A cracked or chipped tooth isn’t life-threatening and in most cases, your dentist can carry out cracked teeth repair. The most serious injury is when a tooth has been knocked out of its socket altogether, which is known as dental avulsion. A knocked out baby tooth usually looks far worse than it is and although it can’t be placed back in its socket like a permanent tooth, it’s not likely to impact on your child’s future teeth. You might want to rinse it off and place it under his or her pillow for the tooth fairy to find! If a permanent tooth has been knocked out, then it’s important to get it back into the socket as quickly as possible. If you can, it’s best to try and do this at the scene of the accident before seeking dental assistance – by acting quickly there’s a good chance that your child’s tooth can be saved but it’s also very important not to damage the tooth further. There’s more chance of saving a younger child’s knocked out tooth but with prompt action, that of an older child or adult can often be saved too. – If the tooth is dirty then hold it by the upper part (crown) and rinse it off with milk. If you don’t have any milk to hand then rinse it with water. Do not wipe it with anything as this could damage the tooth. – It’s vital to keep the tooth moist. You can do this by placing it into a small beaker of milk or if you can’t do this, place it inside your mouth between the cheek and the gum. A young child may struggle to hold the tooth like this and could swallow it, so get them to spit into a cup instead. Then put the tooth into the cup with the saliva. For an older child, you could try placing the tooth back into its socket but make sure it’s facing the right way. Most times it will slip back in but be careful not to force it. If it won’t go back in, then as above, keep it moist with milk, water, or saliva and get to your dentist asap. Treatment for a knocked out tooth varies depending on how long the tooth has been out of the socket and the extent of damage to the tooth and supporting bone. Sometimes it is placed back into the socket easily and other times the process may be more complicated. We’ll need to ensure its position is correct and take an X-ray. We may splint the tooth on either side to hold it in place while the bone attaches, or we may need to carry out a root canal. In the worse case scenario, we won’t be able to save the tooth. What are the options if the tooth can’t be saved? If the tooth couldn’t be found at the scene of the accident or it can’t be saved, then please don’t worry – we still have options. Your child’s tooth gap could be filled with a bridge and then when they’re older we could take a look at restoring it with a dental implant. Accidents happen, it’s a fact of life. Whether you or your child needs cracked teeth repair or they’ve been unfortunate enough to suffer a knocked out tooth, call Emergency Dentist Manchester on 0161 486 0743 we’re here for you and your family when you need us the most. Help I’ve Cracked My Front Tooth! Now What? 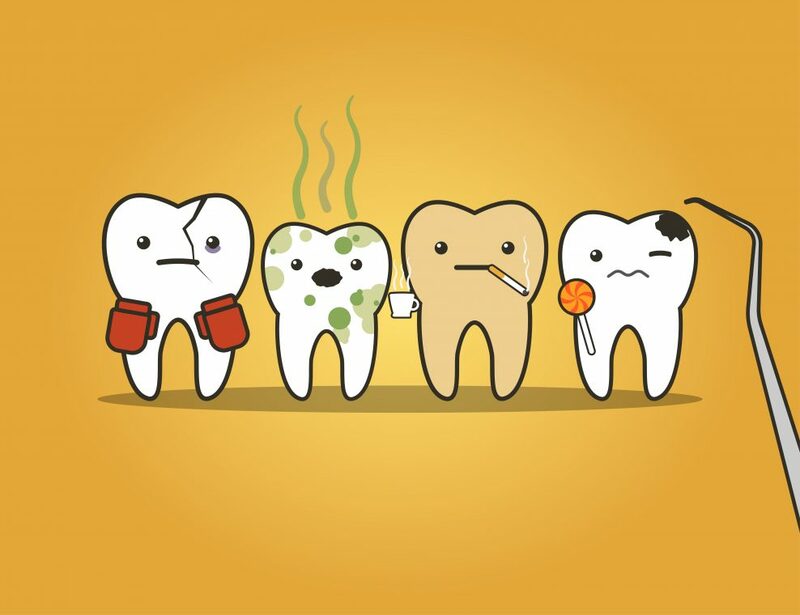 When it comes to dental traumas, there’s nothing worse than a cracked front tooth! Not only can it hinder your ability to eat and talk but it can also cause embarrassment because it’s a very noticeable part of your smile. Whether you slipped and fell on concrete or were chewing on something hard, realising that you’ve cracked a tooth can be a scary time. But don’t worry, your smile can be repaired at our Manchester dental clinic. Here are five procedures that we might use to treat your smile and provide cracked tooth pain relief. This is the quickest and easiest way to repair a cracked front tooth that can last up to 10 years. At our Manchester dental clinic, this treatment simply involves bonding a tooth-coloured material over the top of the cracked tooth then shaping and polishing it to match the rest of the tooth. Usually, no anaesthetic is needed for this treatment and it can be completed in just one easy visit! A veneer is simply a porcelain cover for just the front of your tooth that can be used to hide any oral imperfections such as a visible chip or crack. Often this option is chosen by patients because they offer a more natural and attractive looking result than composite material and they won’t stain as easy. Veneers are easily bonded to the front of the tooth and with good oral care, they can last around 10-15 years, if not longer. If your tooth took quite a hit and is badly cracked or it’s painful to eat and drink, you might need a crown instead. Crowns are a very common restoration used to repair smiles and unlike veneers, they cover the whole tooth to protect it but they still also improve your appearance at the same time. It’s a strong restoration that’s custom made in the dental laboratory from tooth-coloured porcelain. At our Manchester dental clinic, you can guarantee they’ll look extremely natural and life-like. If the crack in your tooth has extended down to the pulp (the nerve of your tooth) in order to provide cracked tooth pain relief, we’ll first have to carry out root canal treatment. We’ll need to clean out any decay and remove the damaged nerve. A short while after your root canal procedure, you’ll then need to have a crown placed over the tooth. This is because once the nerve is removed, your tooth will be more brittle and a crown will help fully protect your tooth from further damage. In the meantime, we won’t leave you in the lurch! You’ll be given a temporary crown to wear so you won’t have to hide your smile away. Although root canals have a pretty bad reputation, you really shouldn’t feel any pain or discomfort during the treatment as we’ll supply you with plenty of anaesthetic. The worst case scenario when it comes to a cracked front tooth is that the crack extends below the gum line. If this is the case, the tooth is unfortunately no longer treatable and you’ll need to have it removed. Don’t worry. If this happens, you still have a number of options to save your smile. The best way to replace a missing front tooth is to have a dental implant fitted. An implant will act just as your natural teeth do, replacing the complete missing tooth (root and all) with the use of a titanium post that’s fitted firmly into your jaw bone. While it’s the most invasive and costly procedure which takes a few months to heal properly, it’s the gold standard treatment to replace missing teeth because they’re the next best thing to natural teeth. When it comes to a cracked front tooth, we’ll usually start by taking an x-ray of the affected area to determine the damage. Once we know what we’re dealing with, we’ll be sure to explain what the possible treatment options are for your situation along with the benefits and cost of each too. While every emergency is different, our main priority is to provide you with cracked tooth pain relief and to do our absolute best to save your tooth. Here at Church Road dental, our friendly team is highly experienced when it comes to providing emergency dentistry. If you’ve suffered a knock to your front tooth, you can rest assured that you’ll receive the best level of care exactly when you need it. Remember – your tooth won’t heal on its own and not seeking help from your dentist quickly could lead to further problems, such as infection or tooth loss. If you have a chipped or cracked front tooth, our out-of-hours emergency Manchester dental clinic is ready to help no matter what time of the day it might be. Just give us a call on our emergency number 0161 486 0743. If it’s out-of-hours, you’ll be put through to the dentist on-call who assess your situation. Let us help provide the cracked tooth pain relief you need and get you smiling again! As your local emergency dentist in Manchester, we know that tooth pain isn’t something to be taken lightly and it can interfere with your daily life and busy routine. Toothaches can range from a mild throb to a severe stabbing pain and can not only affect your concentration levels but disturb your sleep while you search for a 24-hour dentist in Manchester. Overall, it’s a plain horrible experience. You know that you need to get your tooth repaired but what can you do while you wait for emergency dental care? Manchester patients should take note of a few of the following tips and tricks to hold the pain at bay until you get dental help. First of all, call your dentist to book an appointment for emergency dental care. Manchester patients should try to explain where the pain is coming from and ask the dentist over the phone for tips to relieve the pain in the meantime. But remember to let your dentist know what medications you’re taking to prevent any drug interactions. If your pain seems to come and go or fade temporarily, don’t be tempted to cancel the appointment! Your toothache is bound to return and even if it doesn’t, trust us when we say that the damage won’t magically repair itself without treatment. As the dentin layer of your tooth has been attacked and invaded by decay, it will likely react painfully once exposed to extreme temperatures. This means until you get your cavity sorted, it’s a good idea to avoid any food or drink that is either very cold or very hot. It also might help to brush your teeth with warm water instead of cold. Foods and drinks that have a high sugar content or are very acidic can worsen tooth decay. While the pain and sensitivity to these foods might not be as painful as hot or cold temperatures, it’s still best to avoid eating them because they can add to the decay and cause more pain. To be clear, we’re not advising that you starve yourself all day, just try and choose wholesome foods that are easier to chew and won’t add to your pain. Provided your emergency dentist in Manchester agrees and it’s safe to do so, try taking over-the-counter pain relief medication. As most toothaches are caused by an inflammation of the tissues or nerve inside, it’s often best to use pain-killers that work to reduce inflammation. Contrary to popular belief, it’s not a good idea to put the pain relief medication on or around the tooth or gum – doing so could burn your gums and cause even greater pain! Remember too – never exceed the recommended dose in an attempt to get more relief! While you’re in pain you might decide to avoid brushing or flossing the area altogether until you’ve had an emergency dental care in Manchester. But don’t! Keeping your mouth as clean as possible can actually help because it removes any bacteria or food particles collected that could trigger further pain. Instead, try gently flossing the painful teeth and keep up your brushing routine twice daily – you may even find it helps to reduce your toothache pain slightly. Possibly the easiest way to relieve tooth pain is with the use of salt and warm water. This solution has long been known for pain relief as it helps to draw out any fluids from the gums that are causing inflammation or irritation – as a result, it helps to reduce the aching sensation. Try mixing 1 tablespoon of salt in a glass of warm water and gargle for around 30 seconds, repeating when necessary. Keeping your head elevated at all times can help with the throbbing pain by limiting the effect of increased blood pressure to your head. At night time, finding a comfortable position to sleep in when you’ve got a toothache can be tricky but make sure you stack a few pillows or use a wedge-shaped pillow to keep your head propped up and raised. That being said, if the pain gets really bad through the night, it might be time to visit your nearest 24-hour dentist in Manchester. Remember, if you’re suffering from a toothache, don’t delay in making an appointment with your nearest emergency dentist in Manchester. The sooner you get the treatment you need, the easier it will be, the less damage will be done and the faster you’ll get out of pain. There are few things in life as stressful as a dental emergency in Manchester. The pain, the threat of tooth loss and the unexpected expense is enough to throw anyone into a panic! But being prepared for an emergency helps you to deal with your dental disaster calmly and could even mean the difference between saving your tooth or not. The most common emergencies involve fractured, dislodged or knocked out teeth, so let’s take a look at a few tips to help you handle a dental crisis calmly, should an emergency ever occur. When disaster strikes, you don’t want to waste any precious time trying to look up the nearest Manchester emergency dentist in your area or spend hours driving around town to find a dental practice that is open out-of-hours. Instead, it’s much better to know where your nearest emergency dentist is in advance and keep their number stored on your phone so you can be ready to call them ASAP. Plus, as soon you get your dentist on the phone, you can get real-time instructions on exactly what to do. Here at Church Road Dental and Cosmetic, we offer out of hour’s emergency dental services so you always get the treatment you need exactly when you need it. 1. Be careful not to touch the root of the tooth – instead, make sure you hold it by the crown (that’s the visible part that you usually see in your mouth). Rinse it gently with water, but no scrubbing! We want to keep the tooth moist here, so don’t dry it off. 2. Once the tooth is clean, you’ve got two options. Preferably, try placing it gently back into its socket and hold it there by biting down softly. But sometimes this isn’t always possible (especially with young children). So instead, grab the small container and saline solution from your first aid kit and pop the tooth in to soak. If you don’t have any saline handy, milk is just as good. 3. Call your Manchester emergency dentist straight away and head over there. It’s important to realise that time is of the essence with knocked out teeth, so try to see your dentist within 30-60 minutes after the accident. 1. First, clean your mouth by gently rinsing with warm water as it’s important to keep infection away from the affected area. Keeping the tooth’s nerve healthy while you wait for treatment gives your tooth a better chance of being easily repaired. 2. If there’s any trauma to your face involved, get the cold compress from your first aid kit and apply it to the area to lessen any swelling. If there’s any bleeding from your mouth, bite down on a gauze. 3. Call your dentist for an emergency appointment. If the tooth is really hurting, take some painkillers to relieve the pain while you wait. Contrary to popular belief, you shouldn’t place a painkiller (such as aspirin) directly onto a tooth that’s hurting – it will only irritate your gum and possibly make the problem worse. 1. Gently try to put your tooth back into the correct position. Using your finger, apply a tiny bit of pressure but don’t force it! 2. Call your dentist and head over there ASAP. A dislodged tooth may be painful so if you need to, take some over-the-counter painkillers and apply an ice pack to lessen any swelling. Your dentist will likely splint the tooth – which means fixing it to a healthy one until it becomes stable again. Dental emergencies are often unexpected and so is the cost. There’s never a good time to fork out for dental repairs, so it’s a good idea to set aside some savings for emergencies. Even if you’ve got a dental insurance plan, you may still need to cover some of the cost, depending on your policy. With our tips on how to be prepared for a dental emergency in Manchester, hopefully you’ll be able to handle any disaster that comes your way, from a toothache to knocked out teeth. Remember, if you need an out-of-hours Manchester emergency dentist, Church Road Dental and Cosmetic are here to help. Our friendly and experienced team will do our best to get you out of pain and back to dental health. Call us now on 0161 486 0743. First of all, what exactly counts as a dental emergency? Although we’ve all got different pain thresholds, there are times when your dental discomfort requires immediate attention and you shouldn’t just grin and bear the pain. So if you’re unsure when to visit an emergency dentist, Cheadle patients can take a look at the following list to determine whether or not to seek dental care quickly. – It could be a serious infection that needs immediate attention from an emergency dentist. Cheadle patients should keep in mind that generally, these types of conditions rarely ever get better on their own. – It might also be an infected tooth, gum infection or bone infection. – Don’t wait! Get to your nearest emergency dentist in Manchester. It’s important that you get treated as soon as possible to avoid more serious complications. – Keep upright, don’t lie flat, even while you sleep – this prevents excess swelling. – Don’t panic! If you can find the tooth and quickly re-implant it within 30-60 minutes (in other words, stick in back in the socket) then there’s a chance that it can be saved. Even if the tooth is re-implanted successfully, you’ll likely need a root canal afterwards – but at least you’ll still have your tooth. – If you lose the tooth, you’ll need to replace it. An implant is the best way to do this and will fill the space where the tooth’s root used to be. – Pick the tooth up, but don’t touch the root. The crown of the tooth is the part you bite and root is the pointy end. Touching the root will damage tissue that helps with re-implantation. – Try to place the tooth gently back into its socket. But make sure you don’t place it in the wrong way! If it helps, take a look at the teeth on the other side of your mouth to visualise how it should be placed. – Call your emergency dentist as soon as you’ve re-inserted the tooth and head straight over. This should all be done with an hour. – If it’s a small crack or chip, you’ll probably just need a filling. If a large piece has broken away then you might need a crown. But if the tooth is cracked all the way down the tooth, it will likely be un-salvageable and you may need to have it removed. – Call your emergency dentist. Stockport and Cheadle patients should try to describe as much as possible about the tooth over the phone so that the right appointment can be booked. You might say something like ‘one half of my tooth broke off’ or ‘my filling has fallen out.’ You could even email or text a photo. – It depends. The consequences of a trauma can range from minor to severe. But remember, depending on how quickly you’re seen by an emergency dentist really determines whether or not you can keep your tooth. – First of all, get seen by an emergency dentist straight away! – If you fell on your jaw, make sure that you have it checked out properly – fractured jaws can sometimes be overlooked and misdiagnosed. – Use an ice pack over the sore areas. It’s also a good idea to take anti-inflammatory tablets for a few days too. REMEMBER – The most important thing to know is that when it comes to dental disasters, problems nearly always get worse the longer you leave them – so don’t delay! Well there you have it! We’ve covered the most common emergencies above, what they could mean and what to do. If you’re still unsure whether or not you need to visit an emergency dentist, Stockport and Cheadle patients should always give us a call or come straight over – we’re ready and waiting to help, even after hours. If you’re in too much pain and can’t think straight, get a family member or friend to make an appointment with our emergency dentist in Manchester for you on 0161 486 0743 and follow the steps above. It seems that dental dramas nearly always strike at the most inopportune of times. It’s not just the inconvenience of finding an emergency dental clinic in Manchester at the spur of the moment but also – depending on the severity of tooth damage – it can also leave some patients in a great deal of pain and discomfort. If you do ever suddenly find yourself facing a Manchester Dental emergency, remember that our team here at Church Road Dental and Cosmetics are highly experienced in providing the treatment that you need, as soon as you need it. But we’d rather that you never have to suffer a dental drama at all, so that’s why we’ve put together a list of our top 5 tips on how you can play your part and avoid some of the most common dental emergencies! Unfortunately, we see this time and time again – the patient who only visits once they’re already in pain. We try and drill this (excuse the pun) into our patients over and over because advising you to visit us every 6-12 months is for a very good reason. Regular check-ups give us the perfect chance to have a good look around your mouth and spot any potential disaster zones before they erupt. A couple of x-rays allows us detect any possible tooth decay, which if left untreated could spread and cause all kinds of unwanted trouble. It could lead to cracked tooth treatment, a dental infection or worse still, tooth removal. There’s no need to ever wake up with severe toothache, when Manchester, dental emergency treatment can usually be prevented by regular checks, so please stop avoiding us! Stop us if we’ve mentioned this before…but would you believe that one of the simplest ways to avoid an emergency is by following a great oral hygiene routine at home? This includes both brushing AND flossing. Brushing your teeth at least twice a day (although after every meal is even better) is necessary to remove plaque and food particles. In addition, flossing regularly ensures that you reach all those tricky areas that your toothbrush can’t. A great dental routine keeps the nasty bacteria away that could weaken your teeth and is super important in order to prevent tooth decay. So need we say it – the cleaner and healthier your teeth are – the less likely you’ll be to suffer a dental emergency. No doubt you’ve heard the phrase ‘you are what you eat’? It’s true. What you put into your mouth also plays an important part in your oral health too. So choose those green, healthy foods, you know the ones that contain plenty of minerals and vitamins, like calcium, to help keep your smile strong and healthy. On the other hand, try and limit sugary snacks and particularly hard sweets which could easily crack a tooth. A cracked or broken tooth make it super easy for bacteria to enter and cause deep trouble, resulting in a toothache and in some cases an abscess. So needless to say, eating a tooth-friendly diet might mean you can easily avoid a visit to an emergency dental clinic in Manchester for cracked tooth treatment. Adults or children who love to play sports are unfortunately at greater risk of suffering a dental accident such as cracking or knocking out a tooth. If you’re regularly involved in a sport that involves body contact, falls or flying equipment then you should seriously consider using a mouth guard. In fact, even activities that are generally considered to have a lower risk – like football, gymnastics or cycling – can still possibly result in some kind of injury to the mouth. Mouth guards are a really simple way to reduce or even prevent serious trauma to the mouth. They cover your upper teeth and help protect you against cut lips, broken teeth or any other type of damage. Besides they come in some pretty funky designs, so make your mouth guard a vital piece of your sports equipment too. Tip # 5 – Use your teeth for eating only! 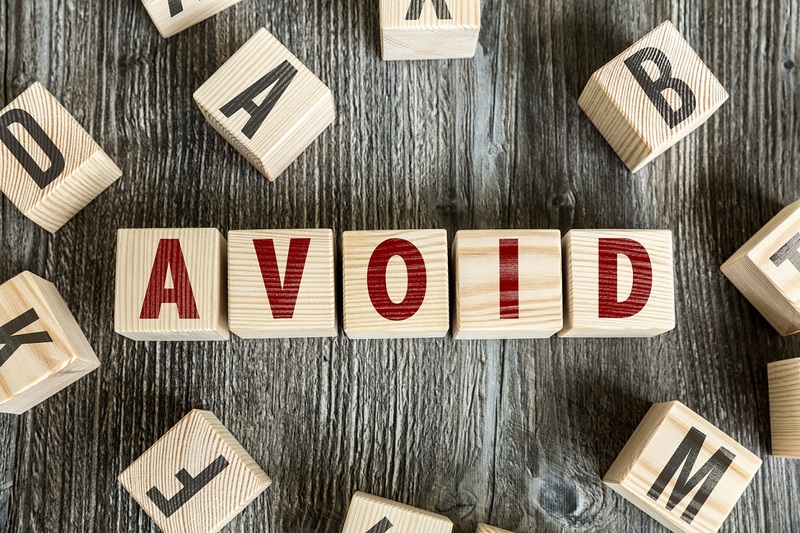 So there you have it, 5 top tips to avoid dental dramas for our patients in Manchester. Dental emergency treatment can most often be avoided by following the above advice, but as with any accidents, there is only so much we can do to prevent them. So if you are currently suffering with any dental pain or problems, contact our team at Church Road Dental quickly on 0161 485 7376 for an appointment at our emergency dental clinic in Manchester. Unfortunately, there are plenty of ways our teeth can become damaged. Falling face down onto the pavement (ouch!) grinding your teeth like crazy through the night or biting down with gusto onto something unexpectedly hard, might well leave you looking for emergency dental treatment in Manchester sooner than you might imagine. But if any of the above has happened to you, don’t worry. Your smile can be repaired with some type of restorative or cosmetic procedure such as fractured tooth treatment depending on how badly damaged your tooth is. Whatever the case, you’ve got plenty of options so you needn’t live with unattractive teeth! So why do our teeth fracture or crack? Hang on a minute, isn’t the enamel that covers our teeth supposed to be the strongest tissue in our bodies? The answer is indeed yes – but that doesn’t mean it’s totally invincible! As briefly mentioned at the outset, a traumatic accident can easily cause a tooth to fracture. In fact, even something as mundane as chewing your pencil or biting your fingernails can cause some serious tooth damage and leave you looking for the nearest Manchester dental emergency practice. That’s not to mention the risks involved for those who play contact sports without wearing a mouth guard. Poor oral health is another common reason for a tooth fracture. Leaving tooth decay untreated is never a good idea and can cause a lot of damage to be done. Decay eventually weakens the tooth structure and leaves teeth more susceptible to breaking when you eat hard foods, such as boiled sweets and crusty bread. What type of cracks are there? 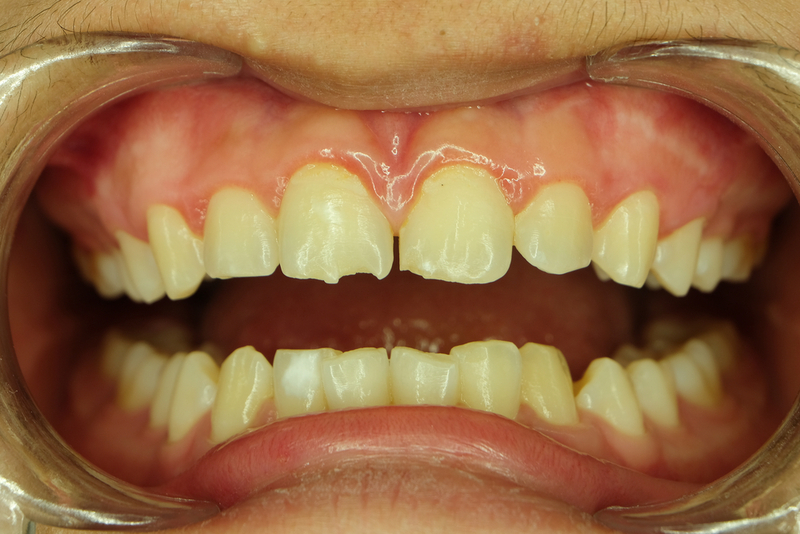 Craze lines – these are tiny fractures of the enamel only and are very common. They don’t cause any pain and don’t need treating unless it’s for aesthetic reasons. Fractured cusp – the cusp is the pointy corner part of a tooth. When it becomes weakened it could fracture or break off. This rarely damages the nerve of the tooth but may need a dental crown for future protection. Cracked tooth – is when there’s a crack that runs from the biting surface of a tooth down towards the root and sometimes it can run below the gum line. A cracked tooth normally means the inner tissue of the tooth is damaged and might cause you to need emergency dental treatment in Manchester. Split tooth – this is often the result of an untreated cracked tooth and is identified by a crack with distinct segments. Unfortunately, the tooth can’t be saved fully intact at this stage. However depending on the extent and position of the crack, sometimes part of the tooth can be salvaged. Vertical root fracture – this type of fracture starts at the root and extends up towards the chewing surface of a tooth. Sadly the prognosis for this type of fracture is pretty much hopeless in all cases. Okay, so how do I know if my tooth is cracked or not? – Is there a visible fracture line? – Do you have pain when you chew or bite? – Does the pain come and go? – Is your tooth sensitive to hot or cold temperatures? While a broken tooth can sometimes be fairly obvious, the signs can also be quite difficult to spot, particularly because they can vary. For example, you might get the occasional pain from time to time when you are eating or you may be sensitive to sweet foods but have no signs of decay. So I’ve broken my tooth – what exactly will fractured tooth treatment involve? When the fracture is only minor, you might get away with only a filling in order to repair your tooth. For this, we’ll use a tooth-coloured composite resin and make sure it matches up with the rest of your teeth, particularly if it’s in a fairly visible spot. Crowns are the most common form of treatment for fractured or broken teeth. This is because they fit over the tooth and make it stronger. They can be made from a variety of materials such as ceramic, porcelain, metal or resin. Having a dental crown usually takes two visits. The first visit is for the preparation and impressions which are then sent to the dental laboratory and the second visit will be to fit your new crown. Sometimes though, the tooth is just too far gone and can’t be saved. Sadly there’s nothing that can be done for a fractured tooth when the crack extends right down below the gum line. In this case, the whole tooth will need to be removed. At our practice in Manchester dental emergency treatments that involve extraction are the worst case scenario, but if it does happen, there are possible tooth replacement options available that are very natural looking such as having dental implants. So there you have it, everything you need to know about broken teeth and fractured tooth treatment. Remember, if you think you have a broken tooth, its best to seek emergency dental treatment in Manchester as soon as possible to prevent the tooth from getting worse. To make an appointment, call our team on 0161 485 7376 today! 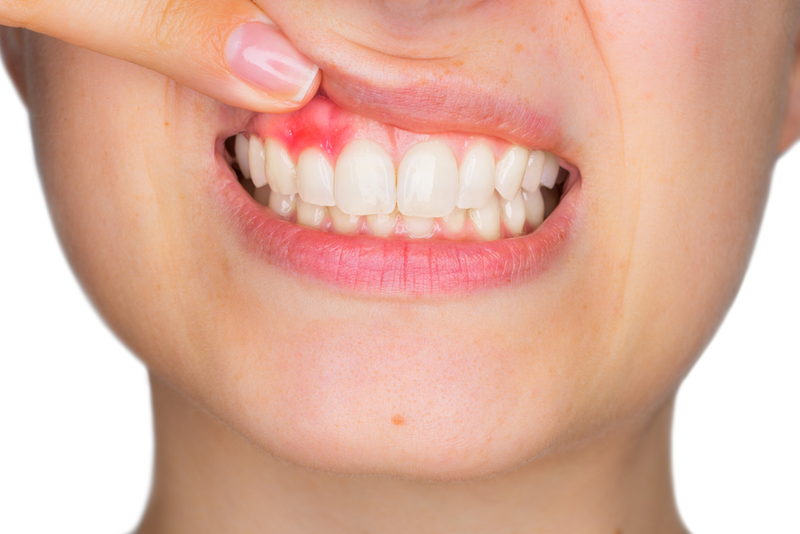 Abscessed Tooth Treatment – What Does It Involve? If you’ve ever had the unfortunate experience of a dental abscess, tooth pain can be excruciating. Not only is it a painful and unsightly condition, as far as your dental health goes, it’s also a fairly serious one. That being the case, if you’re reading this because you suspect you might have an infection, it’s extremely important that you visit a dentist and undergo abscessed tooth treatment without delay. Now we know many of you hate the thought of going to dentist, but by avoiding a quick emergency visit and leaving an abscess, tooth pain, swelling and pressure will only worsen and it could even eventually lead to other health problems. Don’t worry, we’re not trying to scare you, but the point we’re trying to make is this – it’s only if you don’t visit your dentist for treatment that you’ll need to worry. In fact, abscesses are easily treated and in most cases won’t leave any lasting damage. What exactly is an abscess and what causes it? Without being too descriptive, a tooth abscess is a collection of pus that develops because of a bacterial infection in the mouth. It’s quite common and can grow either inside the tooth (periapical abscess) or on the surrounding gum (periodontal abscess). It causes pain and swelling that won’t go away unless properly treated. Most commonly, a dental abscess is a result of an untreated cavity. When the decay travels down to the centre of the tooth, it kills off the nerve and then infection begins to accumulate and form into an abscess. In addition, gum disease can also be a cause. This is because when plaque (which contains bacteria) isn’t removed from the teeth properly, it irritates the gums, causes them to pull away a little and leaves space for the bacteria to move in and form an abscess. So how do I know if I’ve got a dental abscess? It’s really important to make an emergency appointment with your dentist as soon as possible if you’re experiencing any of the above symptoms and suspect you might have an abscess. 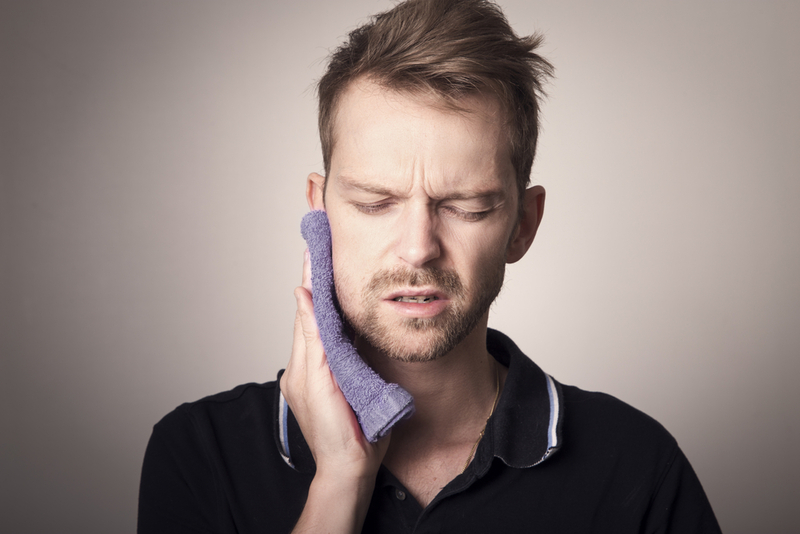 Tooth pain can be managed in the meantime by taking over-the-counter pain relief but is only a temporary fix until you receive proper abscessed tooth treatment. NOTE – It’s also important to realise that sometimes when the nerves in the tooth die because of the infection that’s caused the abscess, tooth pain may suddenly then disappear. Although being out of pain is great, it doesn’t at all mean that the infection is magically healed. The infection will remain there even if the pain subsides and continue causing more destruction until it’s treated once and for all by your dentist. But what does abscessed tooth treatment involve? • Perform root canal treatment – to remove the infected nerve, clean it out thoroughly and then repair the tooth with a crown to preserve it. • Extract the tooth – if the abscess is severe and too much damage is done, the tooth will need to be removed in order to drain the abscess. In either case, antibiotics will likely be prescribed alongside treatment, to help fight the infection and promote healing. We’ve all heard that ‘prevention is better than cure’ and in this case prevention is better than pain as well. But taking into account how dangerous an abscess can be, it makes good sense to have a great oral hygiene routine in place that will help prevent an abscess from ever developing in the first place. As usual, we’re talking about the importance of brushing twice a day, flossing and using a fluoride toothpaste. Of course, let’s not forget the need to visit your dentist regularly for check-ups and hygiene visits as well. TOP TIP – We also suggest replacing your toothbrush every 3 months but also after any illness, whether bacterial or viral. Remember too that eating a diet with a high intake of sugar increases your risk of tooth decay, which in turn leads to the risk of an abscess. So although you don’t like to hear it, avoiding too many sugary snacks is also a good preventative measure! Last but not least, if you play any contact sports, wearing a mouth guard during activity is always a good idea, as it helps to avoid any dental injuries, which can sometimes lead to abscesses as well. So there you have it, hopefully everything you need to know about dental abscesses and how to prevent them. So if you have an abscess, tooth pain, swelling or any of the symptoms above and need abscessed tooth treatment, we know a team that can help. 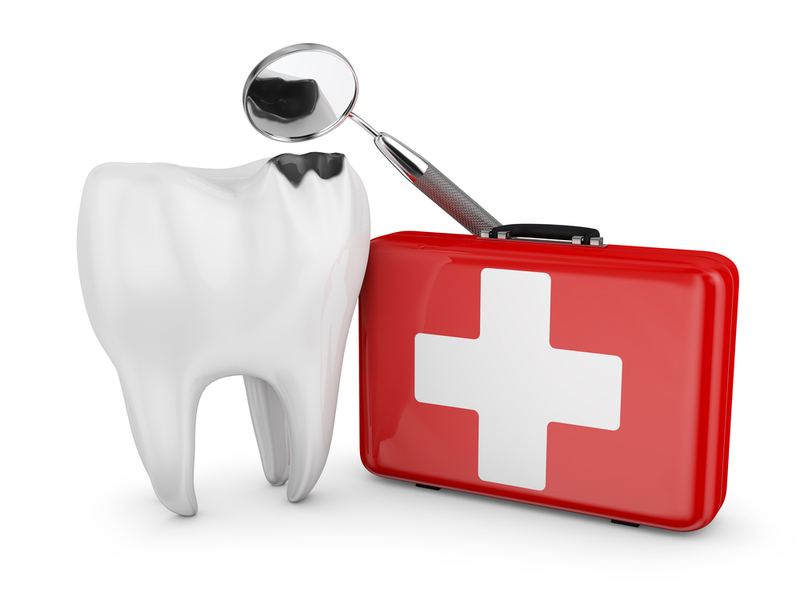 Don’t delay in visiting our emergency dental service, call us now on 0161 486 0743. We’re here ready and waiting to get you out of pain and get back to full dental health.